Bio D Washing-up Liquid is safe, effective and kind to your hands. Containing eco friendly ingredients including vegetable oil, citric acid and vegetable glycerine, it helps to keep sensitive skin in a supple condition. 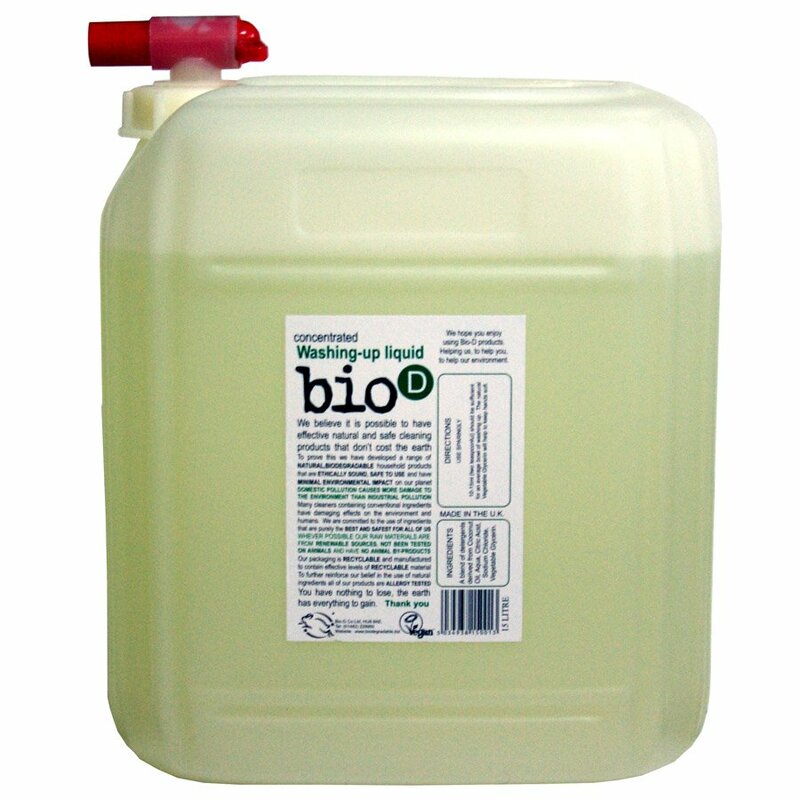 Bio D Washing-up Liquid cleans dirty dishes beautifully and is formulated to have minimum impact on the environment, both in use and the manufacturing process. The Bio D range provides environmentally friendly, high quality household cleaning and laundry washing products without synthetic or animal-based ingredients. The Bio D Concentrated Washing Up Liquid - 15L product ethics are indicated below. To learn more about these product ethics and to see related products, follow the links below. much better than wasting money on umpteen smaller containers, if it came in 40 gallon drums, I would have one of them and save even more packaging, the empty 15l containers are useful for storing other things in though..
Q: Hello rnDoes This product come with a tap ?